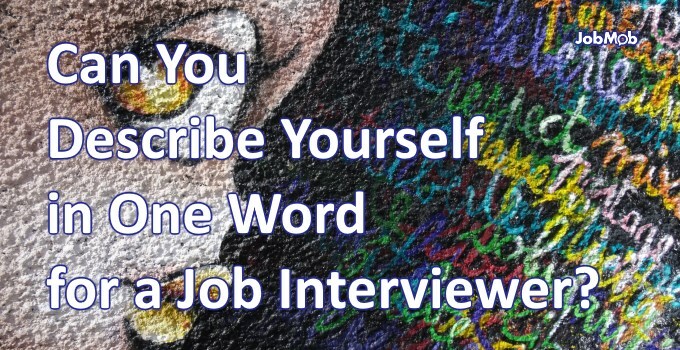 👆 Can You Describe Yourself in One Word for a Job Interviewer? Dilbert creator Scott Adams asked his readers to describe themselves in one word. Can you? We usually find it pretty easy to call other people names, but could you do it for yourself in a job interview? It's a good intellectual exercise that's harder than you'd think. Has a job interviewer ever asked you to describe yourself in one word? “I was asked this very question in an interview. If you've done your company research at any point before the interview, you should have an idea of what kinds of values they appreciate. Simply choose one that accurately describes you and run with it. If you haven't noticed any particular company values standing out, choose a favorite word from these 130 powerful personality adjectives, all of which are positive. 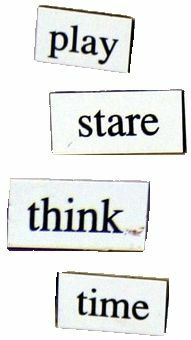 Imagine if you were asked to do this test in conciseness in your next job interview. Without answering ‘unique' (too easy), how would you respond? Actually, Scott's reader exercise was a 2-parter. Subscribe to JobMob via RSS or email and follow me on Twitter for more helpful job interview words in your mouth. My word is KIND. It helps, really. Use a word that’s going to help you get that promotion if you’re interviewing for a job with your current employer. Words such as “tenacious,” “dedicated” or “loyal” describe traits that will benefit you in the long run, especially if you’re interviewing for a job within the same company.